The setup is rudimentary but effective... and similar to the lead-off fight of MAP03 from his earlier Quo Vadis. 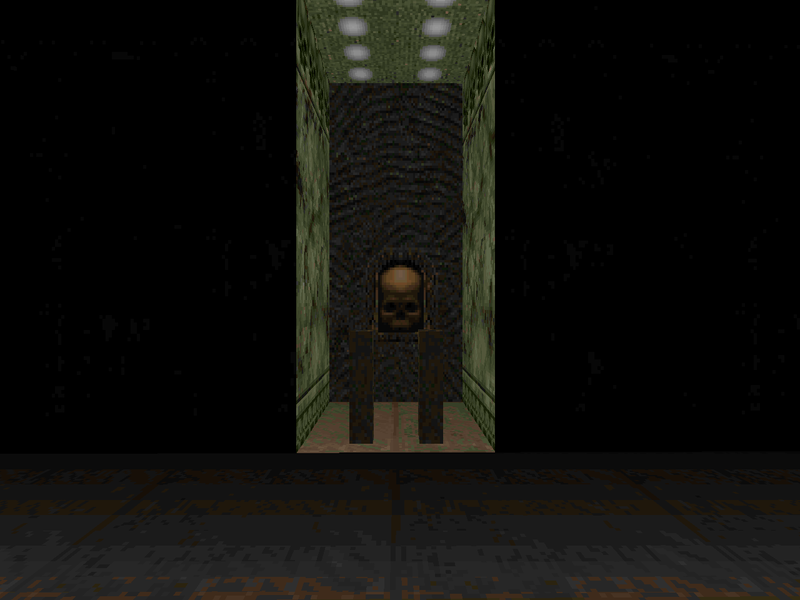 You start out staring down a Cyberdemon and no way out except for all the caged switches on the periphery. One of them ought to stand out and it's shootable, which while opening up the first fully barred alcove also wakes up the reinforcements. You'll similarly be able to see your weapons of choice in elevated cubby holes. 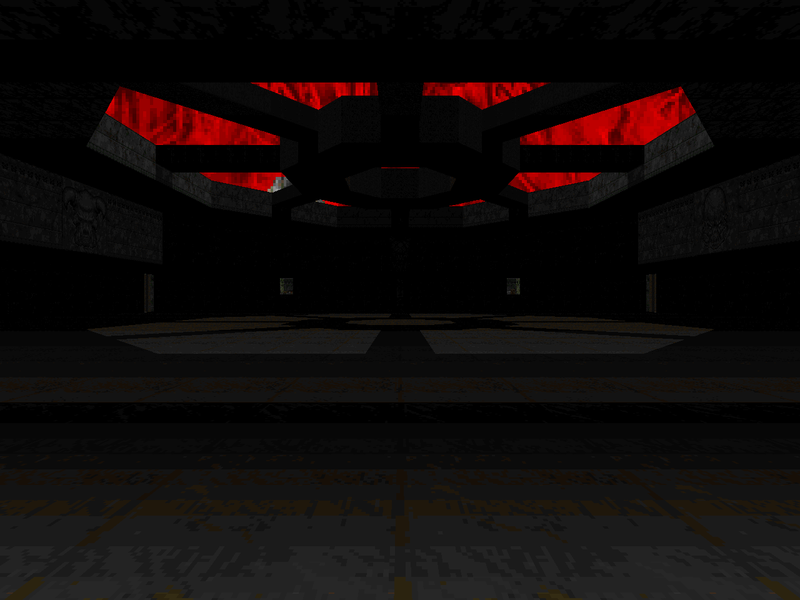 The level's action involves dodging Cyberdemon rockets and flipping switches, each one opening up another alcove that will be difficult to spot because of the low, flashing lighting and ushering in a few monsters that might catch a glancing blow but will more than likely distract ol' Cybie. 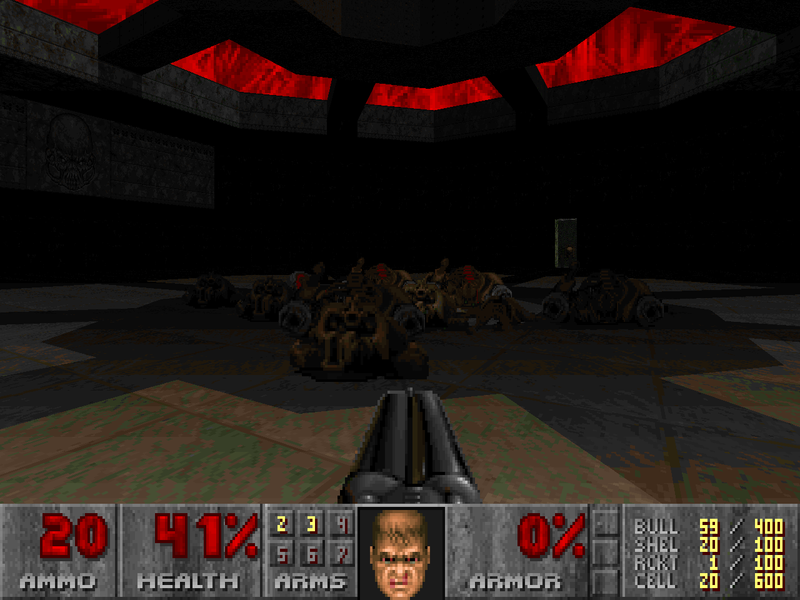 This action continues to the tune of about 17 mid-tier monsters teleporting into the arena, the last switch opening up the exit and lowering your weapon and ammo as well as unleashing a second Cyberdemon. You can either cut and run or try to finish out with a long and slightly thrilling but not really waltz. It's the kind of encounter that seems fit for a level's finale but looks proof-of-concept here, presumably the only fight in the map because it depends on the player not having enough ammo to just grease the Cyberdemon before starting the festivities. If you're not looking for anything deeper than a little warm-up exercise then Arena might fit the bill. Otherwise, well, there are plenty of other things for you to sink your teeth into.